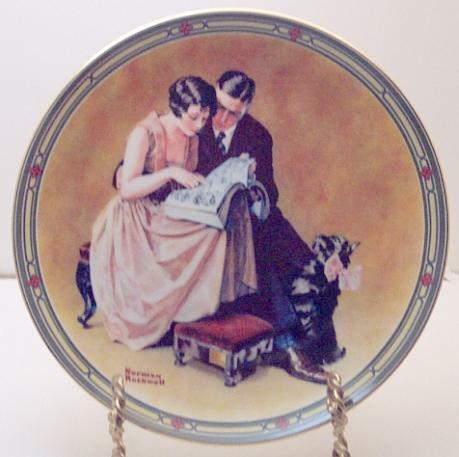 Vintage Rockwell limited edition Edwin Knowles, Bradex numbered plate titled 'A Couple's Commitment', from a painting by Norman Rockwell, measuring 8 1/2 inches in diameter, and in excellent Mint condition with original box and authenticity certificates. Picture does not show true color or detail. This is a fine example of Rockwell's fantastic art! Priority Mail shipping and insurance charge for this item in the U.S. is 10.50.